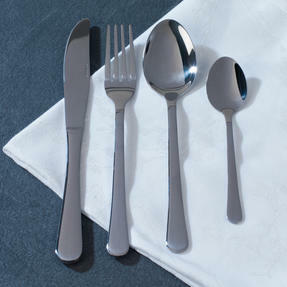 Dine in style with the Salter Bakewell Cutlery set. 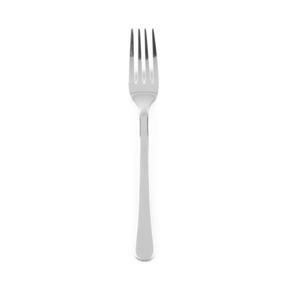 Containing eight knives, eight forks, eight tablespoons and eight teaspoons, this set includes all you need for a pleasant dining experience. 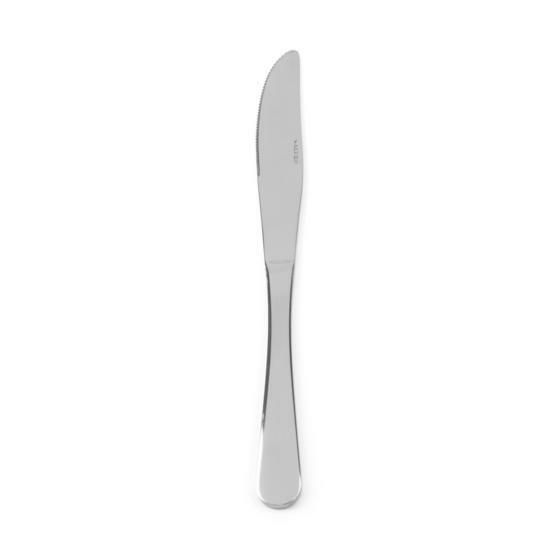 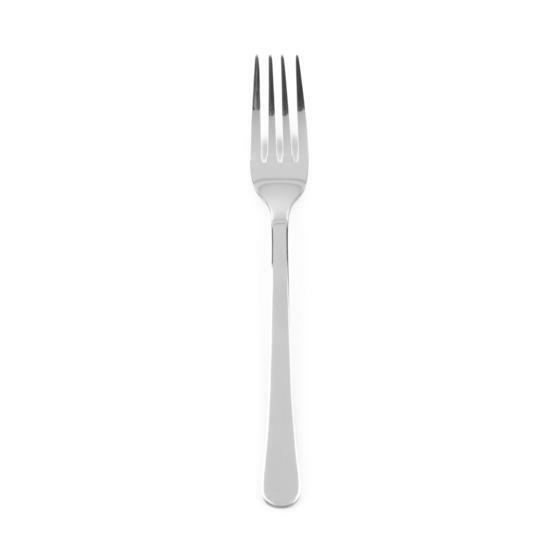 Crafted from quality stainless steel, the cutlery stands out on any table thanks to its gleaming mirror finish. 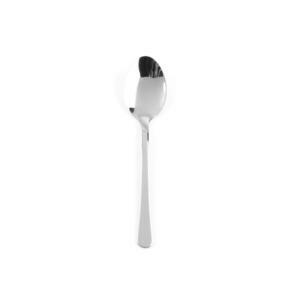 Durable but sophisticated, this set makes an ideal gift for new homeowners, newlyweds, or even for someone looking to upgrade their current tableware. Whether you are starting a collection for a new home, or simply looking to upgrade, the Salter Bakewell cutlery set is sure to impress. Made from high quality stainless steel with a mirror finish, this cutlery set has been designed to complement any dining experience. 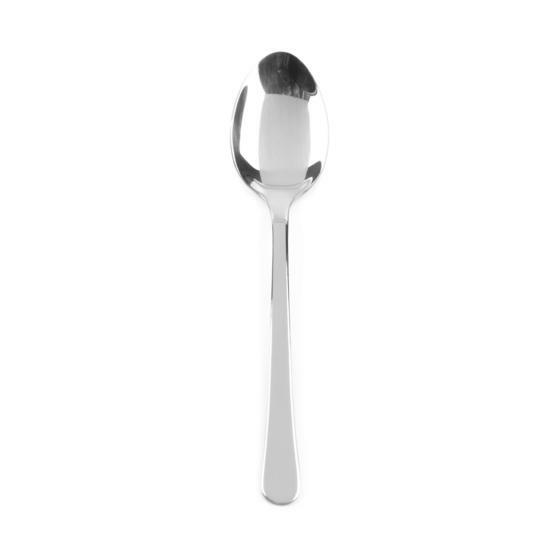 The set includes eight knives, eight forks, eight tablespoons and eight teaspoons, ideal for families or for when you have guests over. 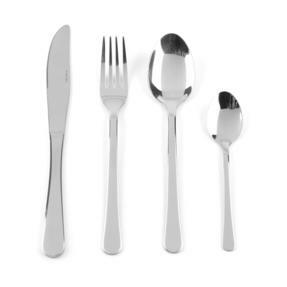 Light and finely balanced, this stylish set has been crafted by Salter to fit comfortably in the hand to ensure pleasant dining. Polished and sophisticated, Bakewell cutlery is an eye catching feature on any table, perfect for dinner parties and celebrations.